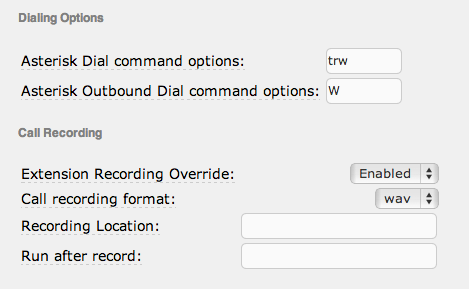 Took a little fussing to get On-Demand Call Recording to work in Elastix. 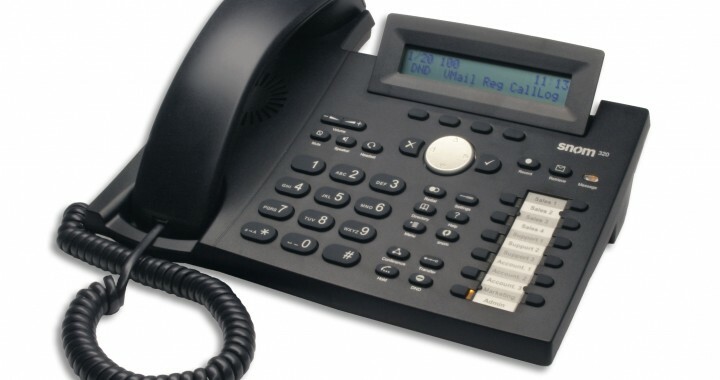 This setup should be phone agnostic, but I am working with SNOM 320 phones (Elastix Certified), these phones send a silent SIP INFO command to Asterisk when a record button is pressed but would also work with any phone that supports DTMF or similar SIP INFO with a configurable (non silent) default of “*1” on the dialpad. There is a GUI option to change this default directory as well. Provide credentials and then open the PBX tab and monitoring sub-tab to see the calls (don’t forget the handy dandy star shortcut to bookmark this location to the user’s home-screen. They can manage their recorded calls and download them, listen, etc. As well as in the feature codes tab if you want to use *1 or whatever you choose. Now the tricky part is that you need to change the setting by hand and put “wW” in the Dialing Options on the PBX>General Settings Tab. This was not well-documented in the Gui but it only worked after doing this. 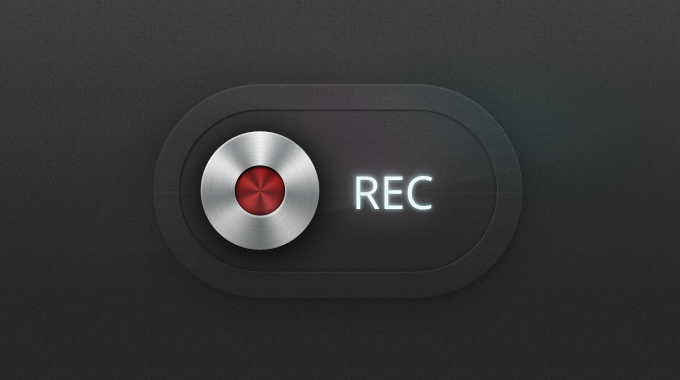 Now you are on your way to recording to your heart’s content! g.729 is not an open source codec, you need to buy a license for it, probably quite a few depending on your application. Its available from Digium amongst other places and definitely don’t use the open source for educational purposes one from here unless you are just testing things out according to the laws etc…. If you see numbers next to g729, you did it right. 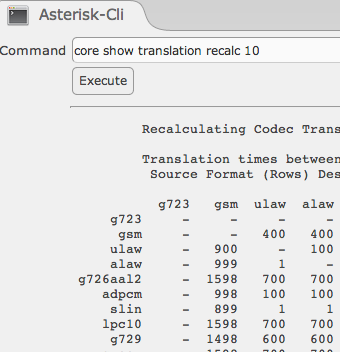 If you see all “–” horizontally in the g729 line the codec did not load correctly. and you should be GTG, your device will use g729 but still support ulaw if you need it for a softphone or something else like recording your IVR and VM prompts at the highest possible quality. You need to set up the phone to default to g729. Now your phone will be awesome and your calls will take half the bandwidth and you can squeeze a million concurrent calls through a 300 baud modem! But wait. I am totally sure there is a reason, and a more elegant solution to this, but this one works and I am not always an elegant man. That one took some hair pulling. I tested on a softphone and DTMF worked fine grep’d the settings for the snom for DTMF and experimented. You should see g.729 through the whole chain and no ulaw in sight. The prospect of simply coding a SIP “Click To Call” type interface into your web site or App and having it just work on any advice is definitely still a dream presently. 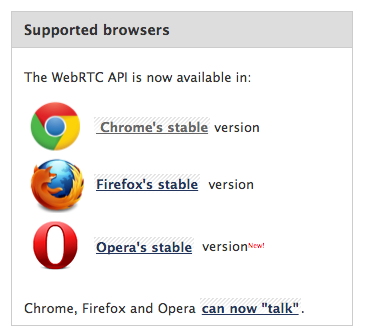 But if WebRTC and SipML5 continue to progress down their current paths, we may not be too far off. The technology however is still in its infancy and deploying it in the wild would require users to be using some bleeding edge browsers. There is some differences in the data from the projects, with SipML5 stating that you need to be running firefox nightlies, while WebRTC says the stable versions are ready. Also if you want to use it with say, Asterisk, get ready to set up a testing VM to recompile. Go Ahead and experiment, develop a cool click to call code snippet or widget for WordPress and I’d love to use it. For now I’m still looking for a good FOSS solution for this application. I’m sure that Dell DVD that comes with the OS – Free server you bought from dell works great if you are using RHEL but if you want to use some sort of Centos distro like Elastix and want to monitor your server you are SOL until you do a little SSH. The Barebones Dell I got has a hardware RAID controller, but for real, like there is not eve a light or a beep or anything that goes down when a drive fails unless you are running their Openmanage software. 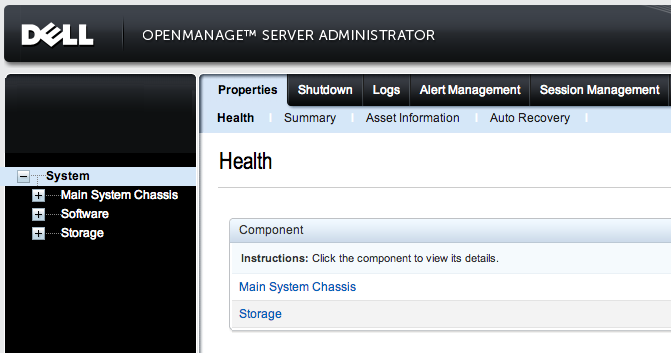 echo "Dell OpenManage ALERT detected on $HOST. Login Now at Port 1311" | mail $EMAIL -s "OM Alert $HOST"
omconfig system alertaction event=$I alert=true broadcast=true execappath="/usr/local/bin/om-alert.sh"
Please note, and this took a bit of figuring. If your root password has special characters (mine had an ampersand) it may not work in openmanage. I had to change it and then could log in fine. I reported this bug to dell and will hold breath until fixed.